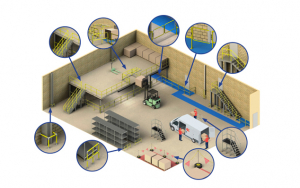 Safe access to perform tasks at height where work is executed in more permanent environments. Kee Safety uses Kee Lite Aluminum or Kee Klamp cast iron tubular fittings for platforms, step-overs and mini step-overs. Each platform is designed to your specific application and built to exceed OSHA safety standards. Static Platforms are flexible, durable and effectively protect workers from the hazards of slipping and falling when working at height.